Fig 1: The main sources of IR photons escaping to spaceA) Infrared window clear sky and via clouds. 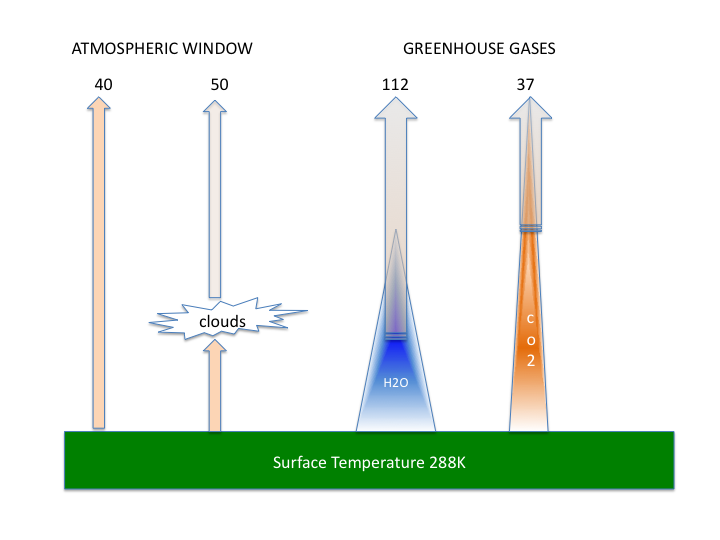 2) Greenhouse gas emissions throughout the atmosphere dominated by H2O and to a lesser extent CO2. The figures arre described in the text.